We recently undertook a project in San Antonio where the client was interested in the lighting aspects of showing the home in beautiful light but also wanted the feeling of added security. Outdoor Lighting Perspectives of San Antonio came up with a design that works for both. When the project was complete the client was over joyed and stated that when they drive up to the house at night, it feels great to see their beautiful house and be able to walk securely from the driveway to the front door. There are many benefits of outdoor lighting, beauty and security are two of them. 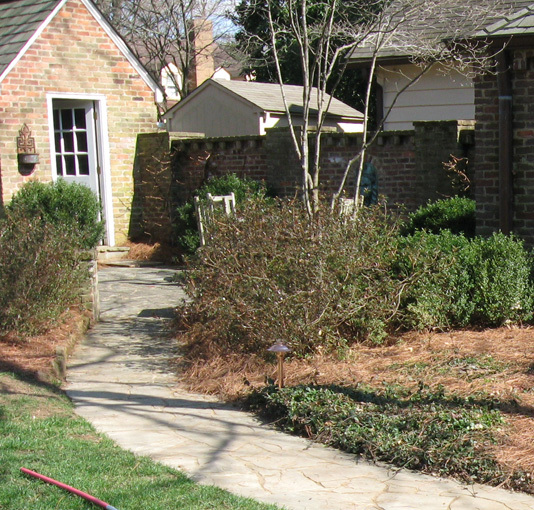 Choices we make in regards to our home and landscapes can impact the environment from our backyard to across the globe. In the big scheme of things, sometimes it is the little things that can really motivate and cause you to reflect about your individual role on the world around you. 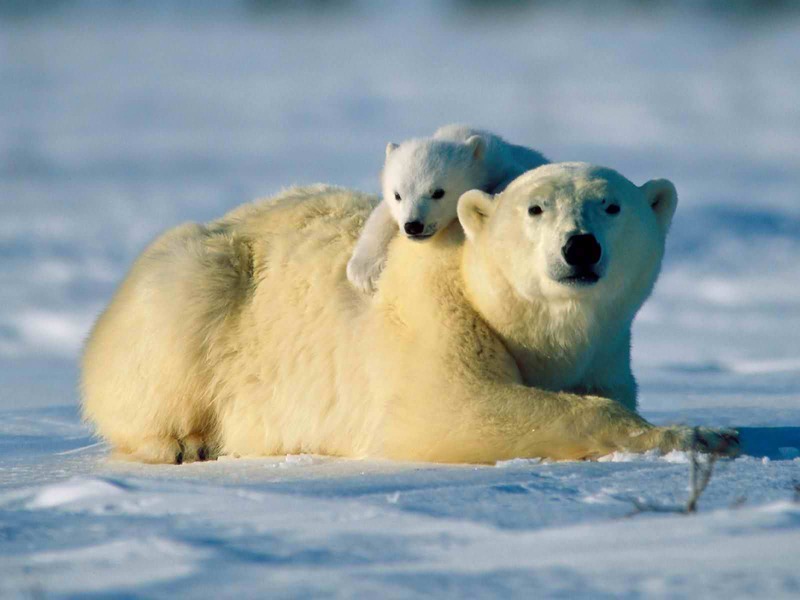 As I was flipping through the channels last Saturday afternoon to find something to watch on TV I ran across a movie called “Arctic Tale” which takes the viewer on the journey of a polar bear and a walrus that live in the arctic and how the impact of global warming is changing their natural habitat. After the movie was over, it made me think about my role on the environment and just how important sustainable living practices are all living things in our own backyard, down the street or even thousands of miles away .Each and every choice we make in regards to taking care of our needs and wants impacts the world on a global level. As with many facets of our lives, decisions we make in regards to our home and property can support a greener lifestyle and support sustainable living practices. Outdoor lighting is no exception. The new outdoor living trend shows that many more homeowners are choosing to complement their home and landscape as well as make it safer and more secure through the use of outdoor lighting. With that in mind, stunning outdoor lighting designs can be accomplished using “green” technologies that have less impact on the environment and save homeowners in electrical costs. Sustainability is defined by the capacity to endure. Which encompasses a long-term maintenance of responsibility of environmental, economic, and social aspects of the world around us. In 1993 Rosenbaum, a notable Sustainable Architect, defined sustainability clearly by “Sustainable means using methods, systems and materials that won’t deplete resources or harm natural cycles”. Bulb Life– LED bulbs last 10 times longer than regular bulbs. Some LED bulbs can last as long as 50,000 hours! Cool Burn– LED’s burn cooler than other bulbs. There is no heat-build up in relation to operating an LED bulb. This reduces the risk of overheating, damage and even fire. Durability– Since LED’s contain no filament, when other bulbs would break or shatter, LED’s will hold up to more vibration, bumping or other circumstances.They also burn more efficiently in colder surroundings than other bulbs. 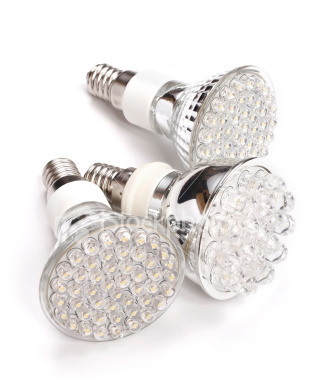 No Harm– LED’s contain no dangerous mercury that can impact the environment. Efficiency– LED’s use very little energy to operate which saves you on energy costs, and makes them a sustainable choice in outdoor lighting. Less energy on your end means less impact on the world around us. Beautiful– LED’s burn evenly and cohesive illuminating areas with just the right amount of light for security, safety and to promote ambiance. With a CRI ( color rendering index), rating from 80 to the mid 90’s, which means they exude a high-quality illumination on a CRI scale of 1-100 in terms of light quality. 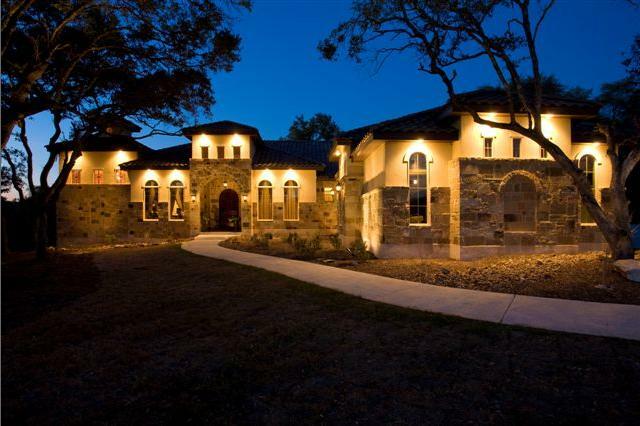 Path lighting and entry lighting provide a safe entrance into the heart of this San Antonio home. With the dawn of a new year comes many resolutions that never reach fruition. From weight loss, to kicking a bad habit for good. Even though most folks set out to achieve these new goals they set for themselves with vigor and enthusiasm, we sometimes tend to set unrealistic goals for ourselves. This year, why not decide upon a New Year’s resolution that is easily attainable and will not only benefit you but your entire family as well. Make the decision to resolve in creating a safer home and landscape for your entire family though the addition of outdoor lighting. By adding professionally installed lighting to areas such as pathways, walkways and well-traveled areas in and around your landscape you set the stage for hassle free travel to and from areas frequented at your residence. 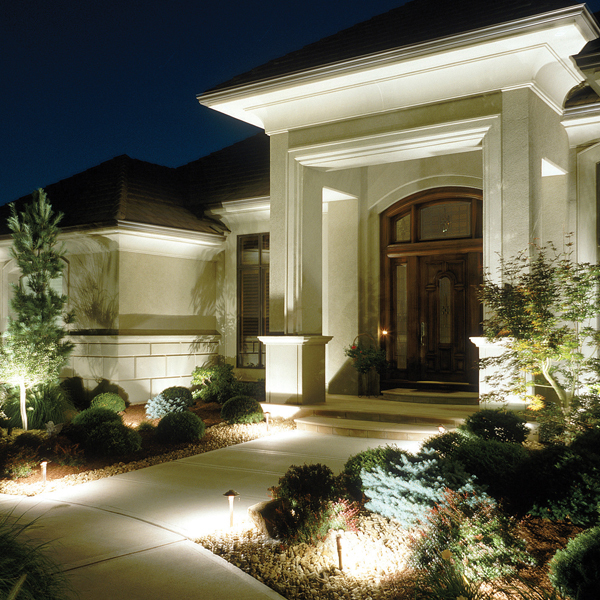 Areas such as driveways, entrances and exits can be enhanced for safety’s sake through outdoor lighting. A good example of how outdoor lighting can provide a safer scenario is an installation we recently completed for a couple who frequently play host to their elderly parents in their guest house which is located adjacent to their main residence. Even though the guest house is a short distance away, the couple would have to travel the distance often times in the dark after a long evening of games and enjoying time with their family. The lack of visibility between the main house and guest house was often a source of concern for these residents. The homeowners made the decision to add outdoor lighting along the path that leads to the guest house to ensure their parents were secure in reaching the guest house in the dark. Installing the lighting has given them peace of mind that their loved ones have a clear and safe path to their quarters during their stay, no matter what fun keeps them traveling to their guest quarters late into the evening. The addition of outdoor lighting makes this guest home a safe refuge for these residents beloved guests. 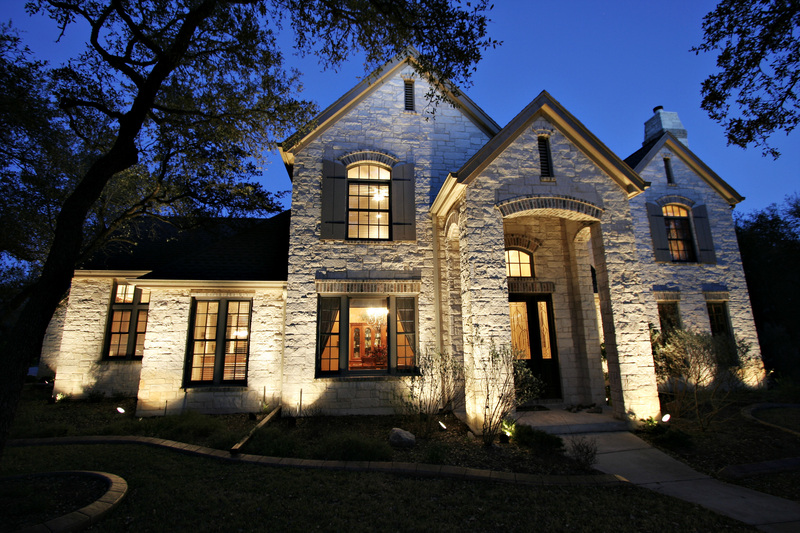 Outdoor lighting can provide safety in a myriad of locations around your home. Being able to see fallen limbs, and brush make travel safer around all areas of your home. Outdoor lighting will prevent tripping and falls that often happen when trying to navigate in the dark as well. Outdoor lighting is a good way to make the unexpected visible to you and your guests and be able to avoid it well in advance of accidentally stepping on it or tripping over it, whereas it can become a hazard. From sticks to snakes, you will see what is up ahead and be able to react to avoid a mishap. Outdoor lighting keeps your area lit to ensure safety. Adding illumination to areas that take you to and from your home on a regular basis is a refreshing way to ring in the new year. Areas such as paths which lead to outdoor living structures such as gazebos or detached porches, pool houses and even that herb garden that you frequent just before dinner to snip fresh basil and thyme to top off that perfect dish. Any area that is frequented in the evening can become safer with outdoor lighting. Wouldn’t it renew your spirit to know that your guests are safer when entering and leaving your home? No more worries over the dinner party that extends into the evening, and no worries if your teen is a few minutes past curfew. Rest assured your home is lit to ensure added safety. Our outdoor lighting can even offer you the capability of hands free, set it and forget it technology through lighting control animation (LCA). Our program lets you set the outdoor lighting to come on and go off at the times you desire without you having to worry about making sure the lights are on when those unexpected events happen. If you choose, we can even give you the added luxury of taking control of your outdoor lights when you are away with our app. which is available through your smart phone. This technology lets you control the lighting from remote locations with a simple touch of your hand. Pathway lighting not only looks inviting it promotes safety as well. The hustle and bustle of the holiday season is in its prime and the onslaught of beautiful holiday lighting is all around us to enjoy and inspire us at this time of year. What happens when all the beautiful lights come down and the season comes to a close? Do you miss the glow of outdoor holiday lighting when it is time to welcome in the new year? If you feel yourself missing the loveliness of outdoor holiday lighting then you need to know that outdoor lighting is not just for the holidays. The grace and beauty that comes with holiday outdoor lighting can also be found in our elegant and graceful outdoor lighting designs that can be enjoyed 365 days a year. Don’t let the after holiday light take-down get you down. 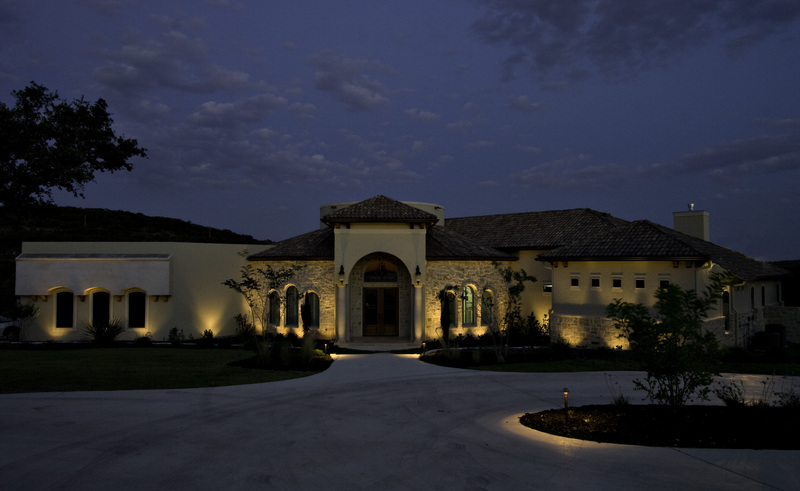 We can meet with you to design an outdoor lighting design plan that fits your home and landscape perfectly. From architectural and facade lighting to accentuate your homes distinct design and landscape to garden lighting that gives your surroundings the feel of an outdoor oasis, and even pool lighting to take a dip in style every evening, all year through. Our San Antonio residents often get to take advantage of their water features throughout the year, which is more of a treat when you can take that midnight swim under the basque of stunning pool lighting. 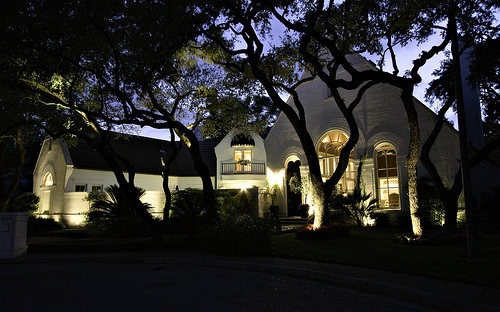 Outdoor Lighting Perspectives of San Antonio has been creating magic in landscapes and gardens and areas of outdoor interest as well as enhancing homes in the San Antonio area for many years. Not only does the addition of outdoor lighting make your property and landscape more inviting and elegant, it makes your home and yard safer as well. From the minute you pull into the driveway each evening you can be greeted with the effects of outdoor lighting. From making your way to the garage, and into the front door and everywhere in between, outdoor lighting makes your life easier and more relaxed. No more fumbling to find the keys at a dark entrance, no more trying to navigate through the garden to pick that prized sprig of basil for you dinner dish. 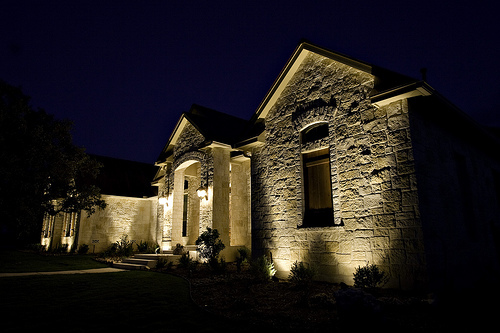 Outdoor lighting can enhance your home as well as your lifestyle. Outdoor lighting also promotes safety on a different level. A well-lit home is a safer home and is less likely to become the target of crime. Our outdoor lighting can even be programmed with lighting control automation to give the appearance that someone is home even when you are away. This technology can be programmed to control specific exterior lights and interior lights as well. With all the many aspects that the addition of outdoor lighting can add to you life, you can never go wrong. Make the place you call home magical all year-long with our stunning outdoor lighting designs. Need more inspiration? Visit our breathtaking photo galleries located on our website, to see what you and your home has been missing. This home has all the elements of good outdoor lighting. As with any element of the design of your home, proper outdoor lighting should be done correctly in order to get the full effect. To give you an example of what this means, think of your home when it was new, with barren, empty rooms. When you begin finishing out your bare room you would first choose a color scheme and adorn the walls with a medium of that color. Then you would place the rugs and furniture. Following the furniture you would add decorative accessories such as wall decor, pictures, pillows, and lamps. Take all these elements into play and you get a complete and well-appointed room, each element compliments one another to make it a room. Now take that same principle into consideration when choosing your outdoor lighting design. Landscape lighting, architectural lighting, facade lighting and path lighting all play off one another in order to create the full effect of outdoor lighting. If your home and landscape does not contain the right amount of each to properly illuminate and complement your home and surroundings then the installation doesn’t appear to be finished and will not give you the same aesthetic appeal of that as one that is professionally designed and installed. It is important to take a really hard look at your home and grounds surrounding your home before you decide to hire a professional lighting designer. Your home is the single most important, and costly, investment you can make in your life. As a proactive homeowner getting an idea of the flow of your property, and how one area affects another, will help you effectively communicate your thoughts to your outdoor lighting specialist. In order for you to be able to convey your wants and desires when you discuss your outdoor lighting at your consultation with your lighting specialist, it is important to learn some simple elemental terms used to describe different facets of outdoor lighting. We added tree lighting to this group of trees adjacent to a waterfall. See how the light dances off the water. 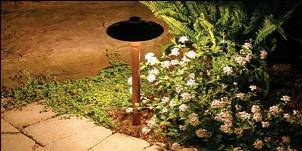 Landscape lighting refers to lighting that is designed to accentuate your homes unique landscape. You may have specific plantings and specimens planted within your landscape that are endearing to you and desire they be lit to enjoy their beauty and appeal long into the evening, as you do in the day. Landscape lighting can also include tree lighting. Our staff readily installs tree lighting by the use of up lighting as well as down lighting to create tree lighting that is hauntingly beautiful. When considering lighting a tree within your landscape it is important to choose a good candidate. Trees that are bushy or have crowded limbs or foliage do not illuminate as well as those with more spaced branching and less foliage. Using the right formula for tree lighting is different for each tree. Keep in mind that what may prove effective and aesthetically appealing for one species of tree, may not be what works for another. 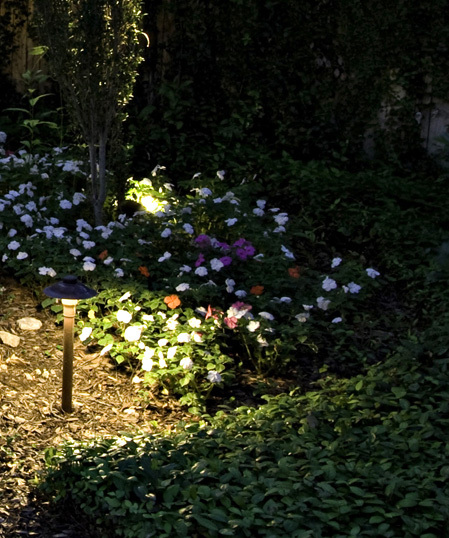 Landscape lighting and garden lighting can also be used to light borders surrounding planting beds, along fences and retaining walls, and at the base of many outdoor structures to add beauty and ambiance. Path lighting can be used for safety’s sake as well as to please the eye. With Halloween just two short weeks away, could you imagine the trick-or-treaters meandering their way to your door with their satchels up a pitch dark walkway? A poorly lit entry is not only dangerous it is boring. Your home’s entrance should be that of one to welcome your guests with open arms. Path lighting is not strictly used at entrances. Path lighting can be used within the landscape to aid in safe travel and to make the surrounding area around your path more beautiful. We use path lighting in areas between outdoor structures so you may travel effortlessly from one to another during the evening hours, such as your homes pool, detached porches and much more. A home that is beautiful during the day is even more so under the spell of outdoor lighting. Architectural lighting refers to the lights that are placed carefully to accentuate prime design features of your home such as dormers, eaves and other unique architectural details. Facade lighting is the type of lighting used to accentuate the width and height of your home and all its unique dimensions. 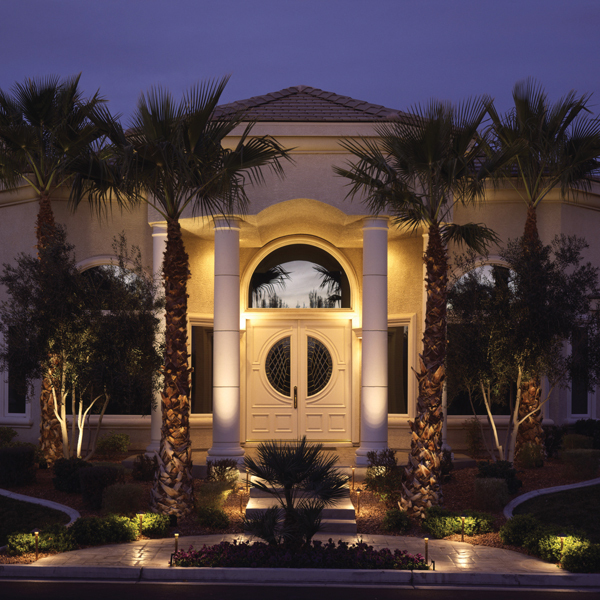 Carefully placed facade lighting can make your home even appear larger, wider and taller in some cases. Professional facade lighting works with and compliments the lines of your home to achieve the most positive effects. Architectural lighting and facade lighting work together as one to promote the uniqueness and individual beauty of your home as well as to create a safer home less likely to fall prey to crime. Don’t forget your outdoor living structures either. 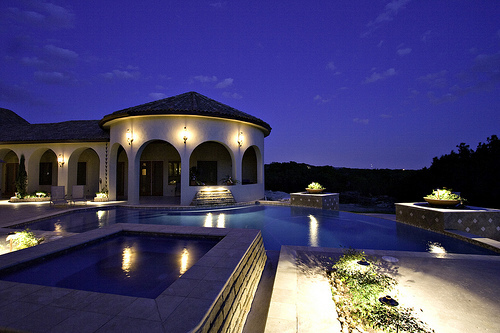 Patios, porches, decks, pools and water features and the like benefit greatly from the addition of outdoor lighting. As a whole, these different genres of outdoor lighting work in unison to give you the full effect of outdoor lighting. 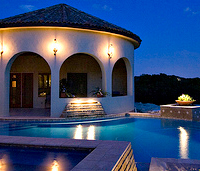 Outdoor Lighting Perspectives of San Antonio has been creating mesmerizing outdoor lighting designs and applications in the San Antonio area for quite a while. Outdoor lighting is all we do, and we are good at what we do. We can meet with you to discuss an outdoor lighting design that will enhance your home completely. We can create a design that incorporates landscape and path lighting as well as architectural and facade lighting, because after all, you can’t play the game without the full deck of cards. Visit our photo galleries to see inspiring before and after photos of outdoor lighting and the difference it can make at your home. Texas is the second largest state, only behind Alaska, in the United States. Among Texas’ unique and diverse landscapes you have the beautiful southwestern desert, grasslands, forests, coastlines and of course the one landscape Texas is famous for – the prairie. Images of a covered wagon pulled by a team of mules transport you back into the old west and when our ancestors were planting roots in history that will be remembered forever. Who can forget that famous call from the Texas army under Sam Houston “remember the Alamo”. The very place where the Alamo still stands today is what many would refer to as gem of Texas. There is no other city quite like San Antonio. San Antonio is full of heritage and history . You will see architecture tinged with Spanish influence throughout the city itself and in the homes of its residents. Walking through the streets of San Antonio is like walking through a history book and a fairy tale at the same time. It is no wonder that San Antonio boasts a population of almost 1.33 million people. The maverick spirit which makes San Antonio all it is today is apparent all around you. San Antonio also boasts a wide array of outdoor activities which can be enjoyed year round because of the warm climate. This warm climate is a big reason why so many people choose to call San Antonio their home. The architecture throughout the communities in and around San Antonio use many natural elements to showcase the beauty of their homes and mother natures backdrop of peaceful rivers, lush vegetation, and gorgeous native trees. Many residents also take advantage of the abundant landscaping materials such as abundant blooming flowers and plants, as well as unique shrubs and foundation plants. No one element of your home or landscape can make more of statement than it can with the addition of professionally designed and installed outdoor lighting. 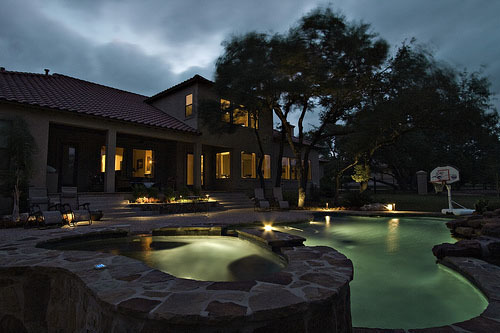 Outdoor Lighting Perspectives of San Antonio has years of experience and knowledge in illuminating architecture, pools, and landscapes for our residents. We can turn an already beautiful residence and grounds into a work of art with our outdoor lighting applications. I realize the old saying “everything is bigger in Texas” is quite often used in a positive manner. Bigger is not always better when it comes to outdoor lighting. Our fixtures are designed to do the job. Many other outdoor lighting companies install a large amount of fixtures to get the point across. This is simply not the case with lighting from Outdoor Lighting Perspectives of San Antonio. For example, our copper path lights only require between three and four strategically placed path lights to illuminate a standard sized walkway or entry properly and promote an alluring effect as well. We want to focus on the area or object we are lighting for you, not the fixture. Properly designed and installed lighting draws your eye to the effect it creates, not on the fixture. It is about the quality and not the quantity of the lighting that makes us unique. 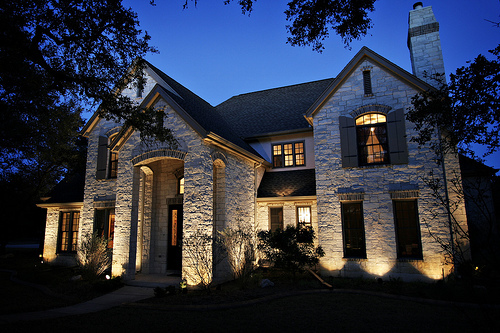 If the purpose for installing outdoor lighting is to accentuate your homes unique architectural elements Outdoor Lighting Perspectives of San Antonio knows the right fixture and the right installation of that fixture to ensure beautiful results. We often use well lights to illuminate your homes architectural breaks, or vertical lines. We are always careful to not place any light in the direction of a window. This is one major flaw that other outdoor lighting companies don’t pay close attention to, but here at Outdoor Lighting Perspectives of San Antonio we look at our outdoor lighting applications as an art form. We also instill the use of spot lights, and in some cases moonlighting to illuminate any peak line or dormers within your homes design. Outdoor lighting can also play a major role in the security of your residence. Advances in technology now afford homeowners the luxury of being able to control their outdoor lighting using LCA (Lighting control animation). 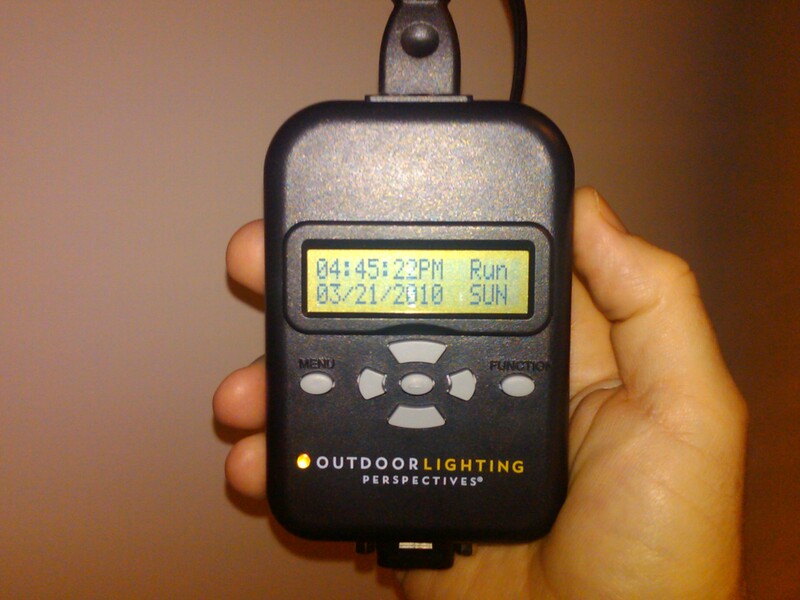 This convenient technology will allow you to customize your outdoor lighting to come on and go off at the times that best suit you. This technology has also been carried a step further by being able to control your outdoor lighting via your smart phone. Advancements such as these will ensure you will be in the driver’s seat when in comes to lighting your home and landscape and is an effective deterrent to keep intruders away. Here in San Antonio, we have such great architectural materials that we use for our home facades, in our landscaping, and in our outdoor structures. Stone, stucco, and even stamped concrete all have these fabulous subtle textures that make them rustic and unique. One of my goals in lighting anything whether it’s a home, or pool, or garden or tree is to try to use the light to catch some of the texture of the item I’m illuminating. I always shake my head when I drive by a commercial sign that’s lit with a gargantuan spotlight that totally “blows out” the sign. You see these bright spots or hot spots where the reflection of the spot light off the item it’s illuminating is almost blinding. Good outdoor lighting will allow you to appreciate the texture that you see during the day. Here are the attributes you want to look for in great outdoor lighting. This seems like such a simple formula – something like measuring a box. With your outdoor architectural lighting you want to achieve width. You want to make sure to illuminate the very far left end and the very far right end of the building or structure. You want the illuminated structure to represent itself, from a structure perspective, the same way it does during the day. Imagine looking at a house and the left and right sides of the house disappeared. That’s what you want to avoid by fully illuminating all the way to the far left and far right ends of the structure. The idea of illuminating the full height of the structure is the same. Imagine looking a fabulous architectural structure with spires or turrets and not being able to see those in the evening. Whether the highest architectural detail of your home is a horizontal roofline or a nice mix of facades, you want to make sure that the height of your home doesn’t disappear into the darkness. Based on some of the architectural materials we use often, some might present more of a challenge in terms of being able to see the subtle depth of the surface at night. For example, with stucco, this might not be possible. But, with stone and other great materials, our goal is to try to create a lighting situation where you can see and appreciate the depth of those textures with the outdoor lighting. So, when evaluating outdoor lighting, make sure the lighting achieves width, height, and depth. All 3 are critical to good outdoor lighting.